As a district you may only want teachers and students in different grade levels to view mastery by the most recent assessment of standards, or perhaps the median, or decaying average. 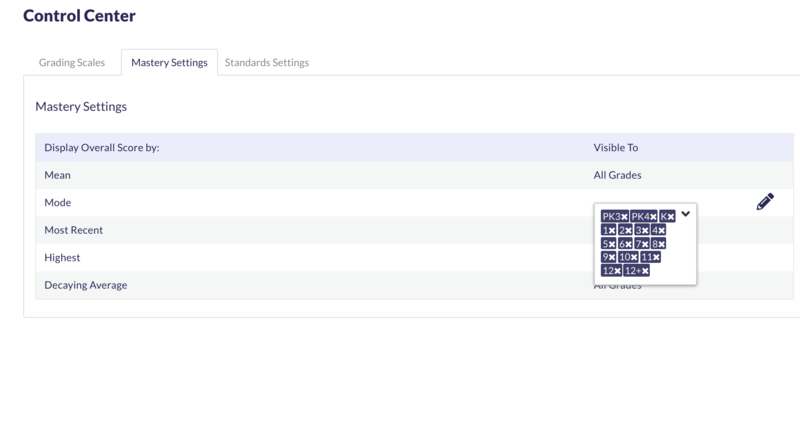 In the Otus Super Admin account, you can control which mastery settings are visible in teachers' gradebooks and analytics pages by grade level. From the homescreen, click Control Center. Click the tab that says Mastery Settings. From this page, you can specify which grades, all grades, or no grades for each type of mastery calculation method: Mean, Mode, Most Recent, Highest, or Decaying Average. Click the pencil to make changes for each respective row. 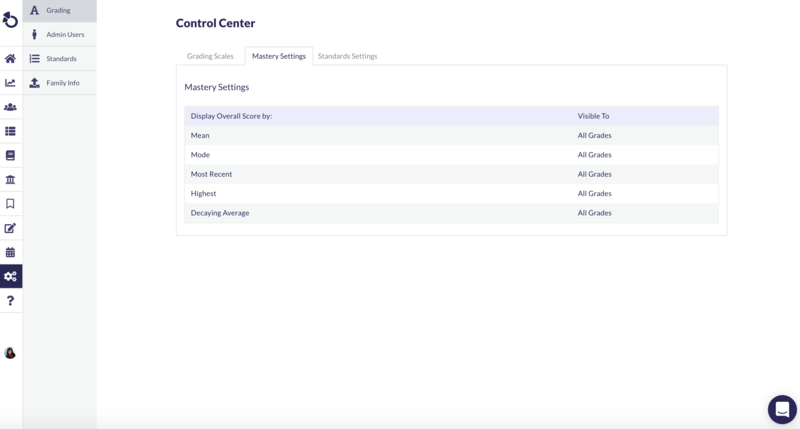 Once you have set your district's mastery settings by grade level, you may want to make adjustments in the control center.